Developed By ITSagar Solutions Pvt. 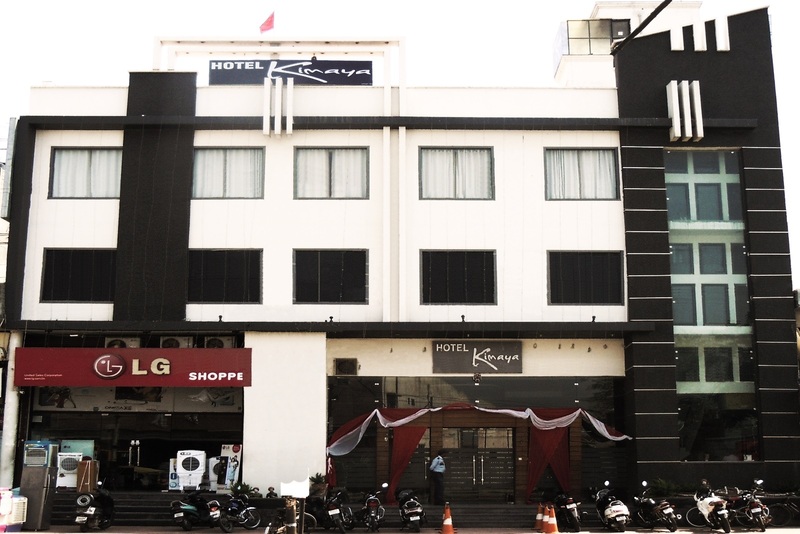 Ltd.
We are delighted out to welcome you to the best of the most popular hotels in Kurukshetra, Hotel Kimaya. 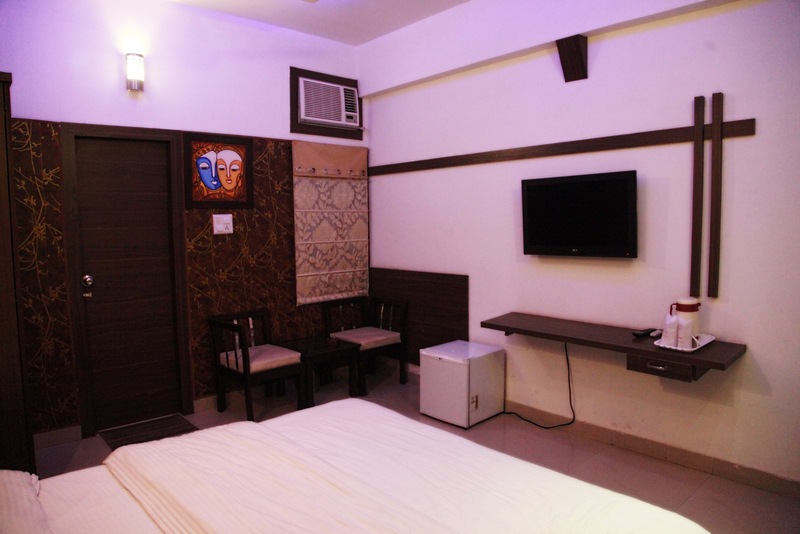 We rank among the finest of the capitals leading luxury hotels in the town, and have a distinctive style and ambience that makes us unique. 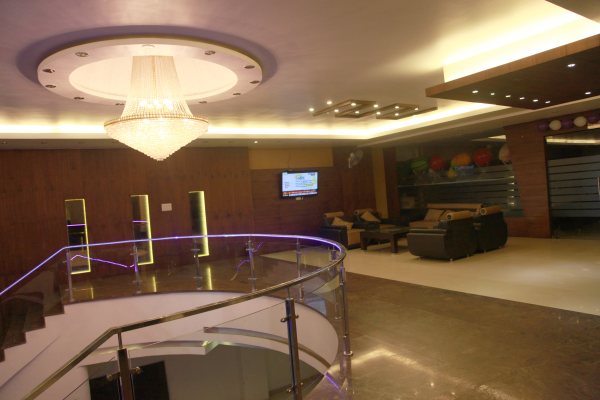 At our hotel in the Holy City, we believe that Guest visit is a Visit by God. This is also a part of our culture - Atithi Devo Bhava. 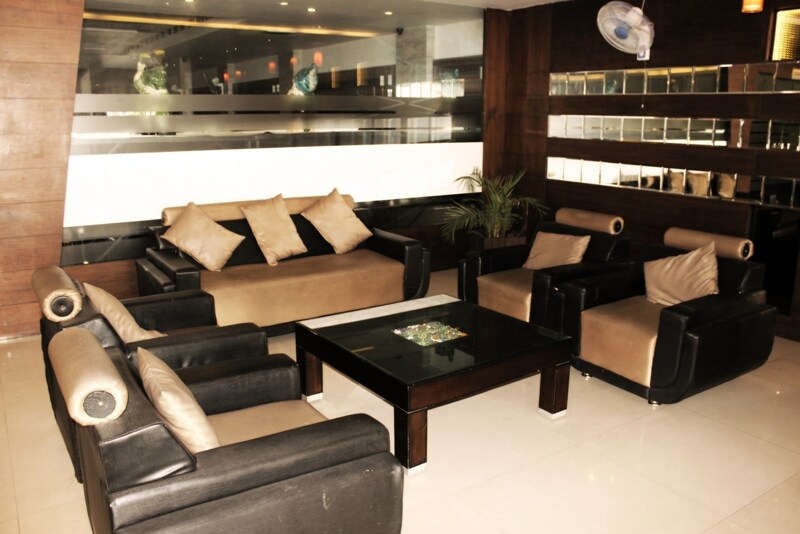 We continually strive to ensure that we not only meet the expectations of our guests, but that we exceed them. We take pride in offering the highest level of service to ensure that we continue to be one of the leading hotels and is the reason why we are one of the most popular wedding/party hotels, too. 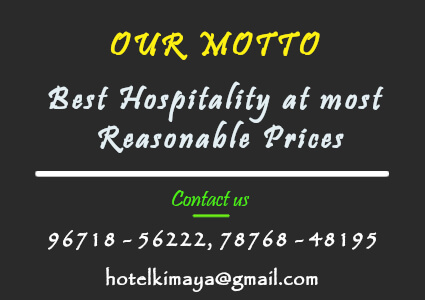 Stay at KIMAYA, a very beautiful boutique hotel in the heart of the City and relax in the eclectic mix of old and new design; from the striking sitting dome above the lobby to contemporary styling in the highly furnished bedrooms. A Ratha-Yatra or Roth Jatra or Chariot Festival is a Hindu festival that involves transporting deities on a chariot (called a ratha or roth). The festival originated in Puri in the State of Odisha. The rath (chariot) is carrying Lord Jaggannath and due to its massive size and weight and sometimes seemingly unstoppable nature, has led to the English word juggernaut to refer to an unstoppable force. Ratha in Oriya means chariot and Yatra means journey. Brahma Sarovar is associated with Lord Brahma, the creator of the Universe. Taking dip in holy water of sarover during Solar Eclipse is considered equal to the merits of performing thousands of Asvamedha Yajnas. According to Local Legends this tank was first excavated by King Kuru the ancestor of Kauravs & Pandavas. Having seen its huge water body Abul-Fazl the courtier of Mughal emperor Akbar during solar eclipse has described the vast water body of this sarovar as miniature Sea. According to the local tradition a tower was erected by Yudhistar in the island situated in the middle of sarovar as a token of his victory in the Mahabharta battle. In the same island complex lies a ancient Draupadi kupa. 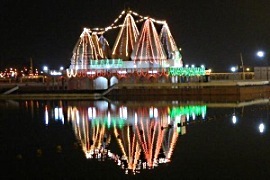 The shrine of Lord Shiva located on the northern bank of the sarovar is called Sarveshwar Mahadev. According to the tradition, the Shiva Linga was installed here by Lord Brahma himself. Annual Gita Jyanti celebrations is held on banks of bramsarover in November-December. 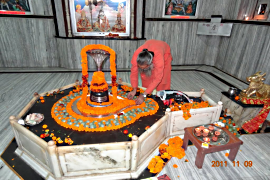 Many devotees consider one prikarma of this tank equal to making one visit to all the tirth lying within the holy circuit of Kurukshetra 48 Kos. 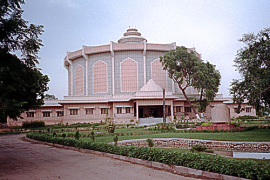 Jyotisar is the place where the sacred Jyotisar, the birth place of Gita, is the most venerated tirtha of Kurukshetra. It is believed that Mahabharata battle started from Jyotisar, where on the eve of the battle deluded Arjuna received the eternal message of Gita from its propounder Lord Krishna. It is said that Adi Sankaracharya has identified the place during his sojourn to Himalaya in the 9th centenary of Christian era. 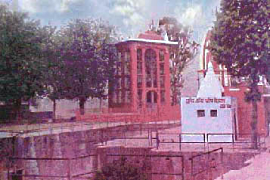 In 1850 A.D. King of Kashmir constructed one Shiva temple at the tirtha. Again in 1924, King of Darbhanga raised a stone platform around the holy banyan tree, which according to devouts is the evidence of the song celestial i.e Gita. In 1967 Sankaracharya of Kanchi Kama Koti Peetha installed the Chariot showing Gita Updesha on the platform facing east. The temple is dedicated to Bhadrakali,a form of Shakti.This is considered to be one of the fifty one shakti pithas of India.It is believed that the right ankle of sati fell here in a well in front of the temple. Presently a marble ankle has been shown here that recalls the mythical incident of Sati. 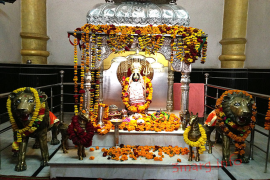 This Shakti Peetha is otherwise called Savitri pitha.The consort of Savitri is called Sthanu. Hence, the city is called Sthaneswar meaning above of Shiva.Here the Devotes offer terracotta horse to the deity having fulfilled their wishes. The word sannehit means to congregate or assemble. 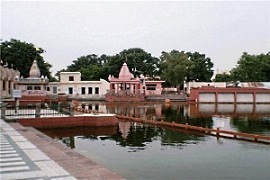 The water body is named after the word sannehit as on the day of solar Eclipse and amavasya it is Believed that all the scared waters or tirthas assemble here.According to the legend, a dip in this tank during amavasya and eclipse absolves one of all sins and gives the merit of aswamedha yajna. Purushartha is the amalgamation of Dharma, Artha,Kama and Moksha. The temple of Sthaneswar is the above of Lord Shiva. It once formed an important part of the Kingdom of King Harsha Vardhan of the Pushyabhuti dynasty - the linga is ancient and worshipped with a lot of ritual and prayer. Just a few yards from her is located the temple Bhadrakali wich is a form of shakti. This is considered to be one of the fifty one Shaki pithas of India. It is believed that the right ankle of sati fell here in thewell. Presently a marble ankle has been shown here that recalls the mythical incident of sati. This Shakti Pitha is otherwise called Savitri pitha.The consert of Savitri is called sthanu. Hence, the city is called Sthaneswar meaning abode of Shiva. It was here that the pandavas prayed to Lord Shiva and received His blssings for Shiva and received His blessings for victory in the battle of Mahabharta. Thirtha is associated with the spot where Bhisma fell on the battle field on the 10th day of Mahabharata battle. After his fall Bhisma requested the assembled Kauravas and Pandavas for water to quench his thirst. Kauravas offered him cool water which he denied to drink. Arjuna soon understood the willingness of his great grand father. He pierced the ground by an arrow called Parjanyastra. Bhisma thus quenched his thirst by the water that gushed out in consequence. The spot where arrow of Arjun struck into the ground is called Bhisma Kunda. Recently the ancient stepwell has been renovated. According to local legends, Bhisma remained here on the bed of arrows for 58 days before leaving for the heavenly abode. It is a beautiful monument of medieval times. 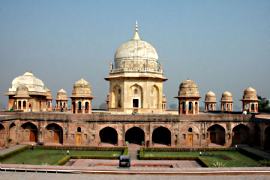 It contains the mortal remains of the great Sufi saint Abudul-Karim popularly known as Sheikh Chehli, who was also the spiritual teacher of the scholar prince Dara Shikoh, son of the Mughal Emperor Shah Jehan.Built of buff sandstone, the tomb is crowned by a pear shaped dome of marble on a high circular drum. The cenotaph of the revered saint is in the centre of the chamber while the graves rests in the lower. Another tomb of sand stone with a dome of marble decorated with floral designs is situated on the western wall of the enclosure. It is said to be Sheikh Chehli's wife. The beautiful monument resembles the Taj Mahal and in view of its architectural and historical importance, has been declared as a 'protected monument' of national importance by the Archaeological Survey of India. With a view to awakening the people morally and culturally through the ideas and ideals of Krishna and to enlighten the people the history of the region, the Srikrishna Museum was established by Kurukshetra Development Board in the year 1987. Various blocks accomodate old artefacts, models and Multimedia Mahabharata & Gita Gallery. The artefacts displayed in the museum represent Krishna as godhead, an avatara, of Vishnu, a great Philosopher, an epic hero, an astute statesman and a supreme lover. The personality and teachings of Krishna have permeated into the national ethos and his exploits and miracles are a source of inspiration for the artistic expressions manifested in all parts of the country in their traditional folk and classical art forms. Through murals, mannequins, paintings and scenographies the story of Mahabharata has been depicted in an emphatic and effective way. 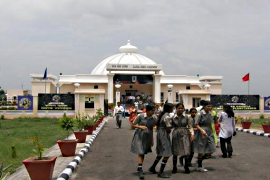 The Kurukshetra Panorama and Science Centre have two different types of exhibits in the ground floor and in the first floor with cylindrical walls. A few scientific objects also are displayed in the centre. In the ground floor, an exhibition called India-A Heritage in Science, Technology and Culture, consisting of working and interactive exhibits on ancient Indian concept of properties of matter, structure of atom, geometry, arithmetical rules, astronomy medicine and surgery. Housed in a tall and cylindrical building, with its elegant architecture and ambience, the main attraction of the Centre is a life-like Panorama of the epic battle of Kurukshetra. Standing at the Centre of the cylindrical hall, one can feel the towering 34 feet high paintings of the episodes from the 18-day confrontation between the Pandavas and the Kauravas come alive before his eyes. Merged with this is the diorama of the battleground that epitomizes the carnage realistically. The chanting of Gita and distant war crimes mingled with lighting illusions create the perfect ambience. A science Park has also been set up outside the four walls. The Kalpana Chawla Memorial Planetarium is equipped with latest Opto-mechanical and digital Projectors, 5.1 surround sound for projection of full dome planetarium programs. The planetarium system is housed in 12 meter dome having unidirectional seating arrangement of 120 persons. The gallery of the planetarium has interactive exhibits on astronomy. The permanent gallery demonstrates A walk through Time, Day and Night, Your weight on different planets, Seasons on Earth, World Time, Our Address in Universe, Our Solar System, Beyond Solar System, Astro Quiz, Zodiac Quiz etc. to the visitors. A special part of gallery throws light on the life of Dr. Kalpana Chawla. An outdoor exposition comprising of Samrat Yantra, Sundial, World Time, Turn Faster, Celestial Umbrella, Why we see one face of Moon? Optical tree, Eclipses, Totems Of Time, Gravity well, Planetrack and several other exhibits are displayed amid lush green ambience.Various educational activities for students, teachers and general public are being organized at the planetarium to arouse their interest in astronomy like night sky watching workshops, popular science lectures by eminent persons from academia, various competitions etc. 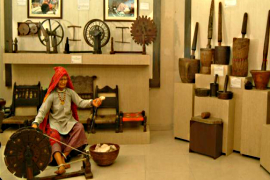 Dharohar Haryana Museum is a centre of Haryanavi Folk Culture and Heritage of Haryana.More than 3000 rare and antique artifacts are available at Dharohar. More than 6 lacs visitors visited Dharohar Haryana Museum including visitors from Germany, America, Australia, Norway, Russia, Chilli, Malaysia, Mauritious, Denmark, England, France, South Africa etc. 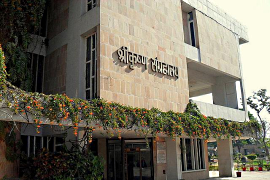 Dharohar Haryana Museum preserves the traditional culture and heritage of Haryana. It facilitate the Research Scholars, for the research in the field of folk culture, heritage, literature, architecture, music, traditions, customs, archaeology, education, economics, history, political science, and public administration. 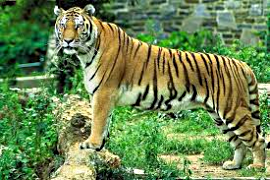 This zoo is located on Grand Trunk road leading from Chandigarh to New Delhi in the vicinity of Kurukshetra town. This zoo was established during 1982 and is spread over an area of 27 acres. With a variety of birds and animals housed here, it provides a different view of habitation and provides face-to-face interaction with the beauty of nature. This temple is a very beautiful and elegant example of the architecture work. The entire Birla Gita Temple is constructed in the white marble. 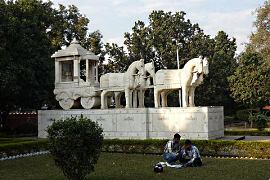 Within the premises of the temple, there is a dazzling chariot marble of a large size has been placed in the temple's garden area. 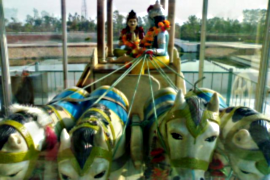 The chariot marble is drawn with the 4 horses, which the warrior Arjunand Lord Krishna as been seated and more eighteen characters installed on almost all the sides. 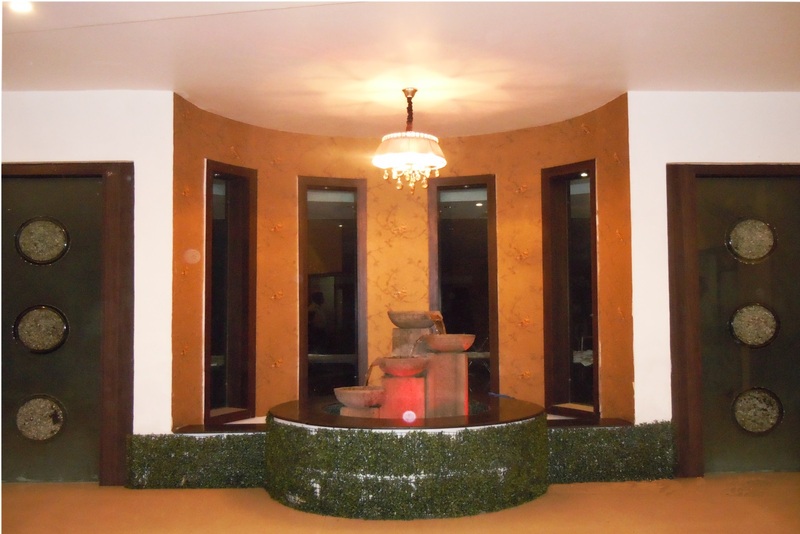 This marble carved scenery is places in the garden area of the Birla temple. In the garden area, you will also get to see the Gaj Ghanta which is also made in the pure white marble, which attracts many tourists. Because this temple is dedicated to the Lord Krishna, the festival of Krishna Janmashtami celebrated here in large scale. 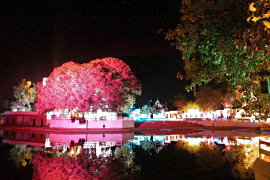 The Haryana, Tourism is running a light and sound show daily in Hindi and English in the evening t Jyotisar Tirth. In this show, all the episodes of Mahabharata are beatuifully shown wherein elegant lights and surrounding sound gives a lively effect. With a serious endeavor to enhance the quality of life and make positive difference to the millions of lives, the O P Jindal Park and Musical Fountain has been developed in Kurukshetra. Spread across an area of 14 acres, it is dedicated to the Nation in fond memory of the great leader, Sh. O. P. Jindal. 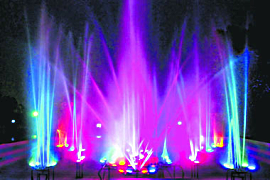 The park has a Musical Fountain - the biggest of its kind in Northern India. The main focus in the park is the memorable garden, where a beautiful torso bust (4ft ht.) of Late Sh. O P Jindal, has been built in his memory. There is a toddlers area with lots of colorful swings, sports area for grown-ups, picnic area, sit outs for elderly people, attractive animal zoo area, meditation garden, jogging area and a striking rose garden. 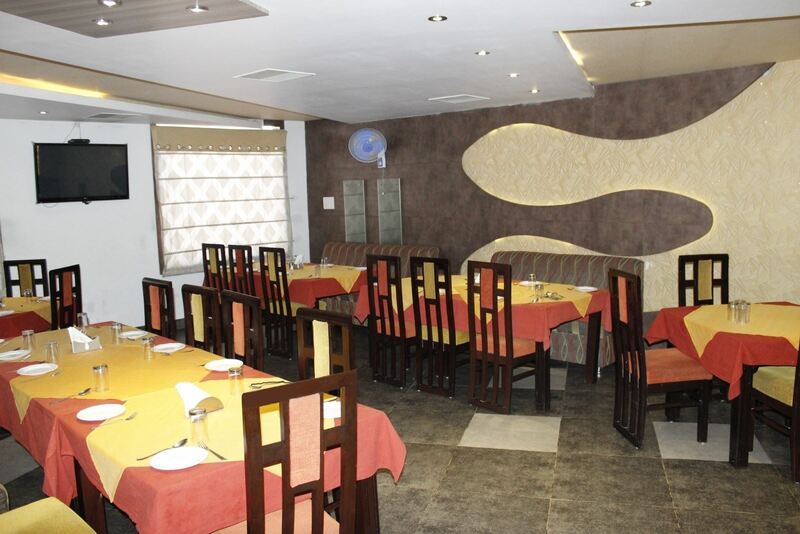 Multi Cuisine Retaurant with Authentic Chinese, Tandoori and Indian Food. 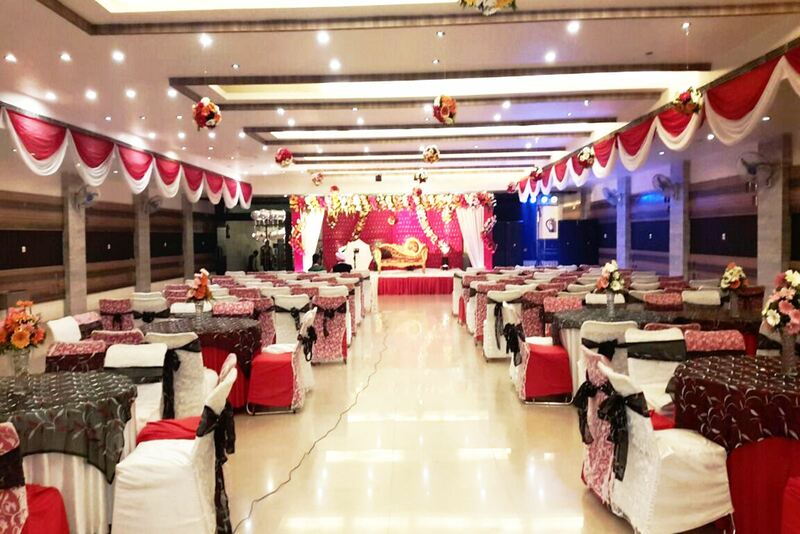 Beautifully designed spacious AC Banquet for 300pax suitable forSeminars, Weddings, Lunch/Dinner & specially for Fashion Show. 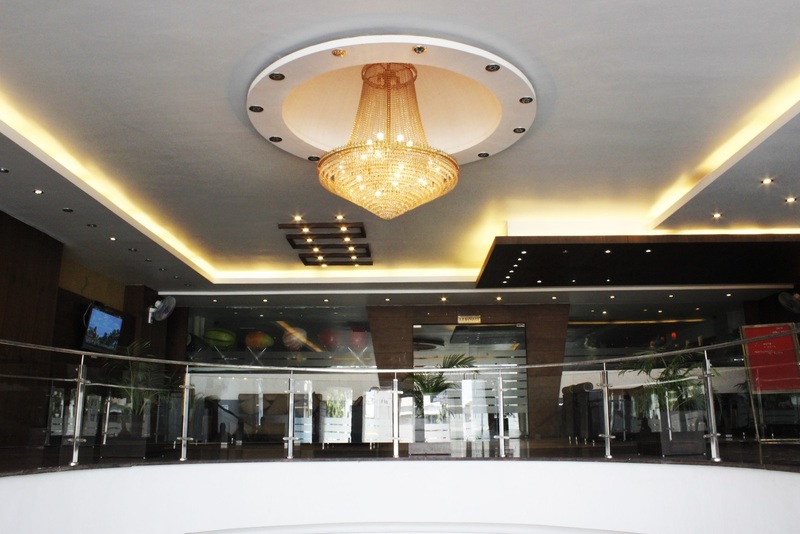 Beautifully designed spacious AC Banquet for 300pax suitable forSeminars, Weddings, Lunch/Dinner & Receptions. A lush green lawn, ideal for marriages & large gatherings. 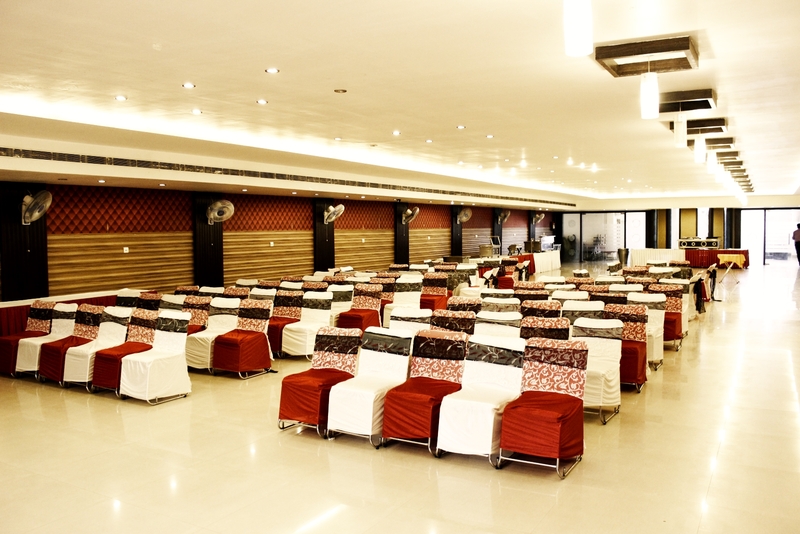 The conference hall with adequate Audio/Video and PA System. 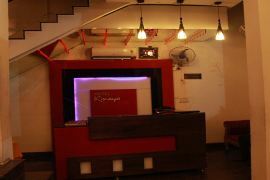 As the name suggests, it's a Utsav for throwin up a Birthday bash or a Casual Get-together. 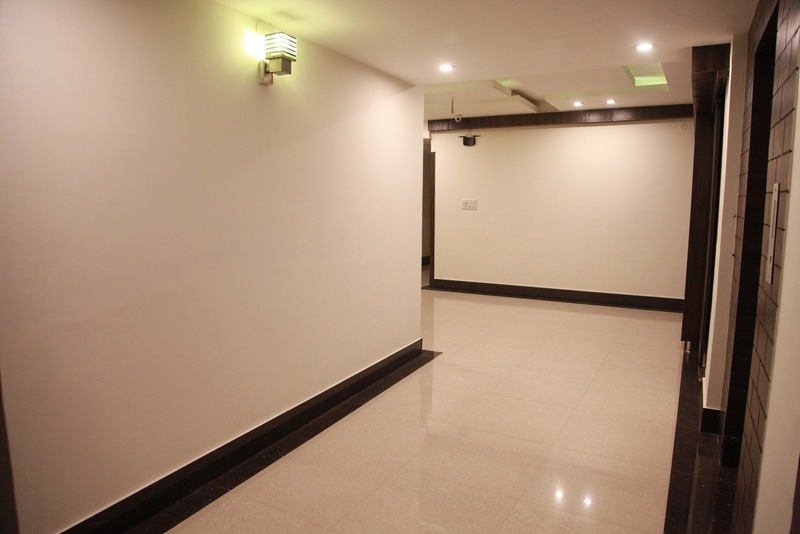 -> Newly Constructed & Well Decorated Rooms. -> EPBAX / Telephone (STD/ISD) & Internet Facility. -> Multi Cuisine Restaurant (Indian, Chinese, Continental). -> Laundry / Drycleaning Service. -> 24 Hours Room Service. Website Developed by ITSagar Solutions Pvt. Ltd.